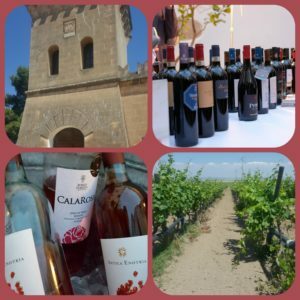 Let’s start this first #ItalianFWT chat of 2018 with a tour of Puglia. We will explore and take a closer look at the wine map of Puglia, the region between two seas. The first idea was to have a focus on the Nero di Troia area in northern Puglia. However, it turned out to be a bit difficult for the #ItalianFWT members to find such wines in the US. Therefore, this month’s theme will embrace all of Puglia’s vine and wine landscape. The Primitivo grape will play a key role in most of the articles in this month’s #ItalianFWT chat. Some of my fellow #ItalianFWT members will pair it, for example, with Orecchiette, which is a typical form of pasta from Puglia. One of the traditional dishes in Puglia is, indeed, Orecchiette con cime di rapa (Orecchiette with turnip greens). Other articles this month will talk about the vineyards in Puglia, the concept of family, and much more. Tracy at The Traveling Somm will talk about A Taste of Puglia with “Little Ear” Pasta and Affordable Wine. 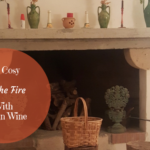 Wendy Klik at A Day in the Life on the Farm gives us a wine and food pairing tip with Primitivo and Pasta from Puglia. Camilla at Culinary Adventures with Camilla shares Orecchiette e Tormaresca Neprica. 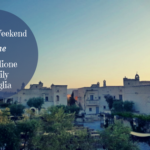 Lauren at The Swirling Dervish shares Traveling to Puglia via South Florida: My Adopted Italian Grandparents. 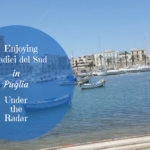 Susannah at Avvinare shares Puglia – A Land of Abundance. Jill at L’Occasion shares Vineyards of Puglia. Me, Katarina, at Grapevine Adventures will share the article Let’s Talk Nero di Troia and Primitivo in Puglia. 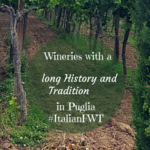 On Saturday, January 6, at 11 am ET / 17.00 CEST the Italian Food, Wine, and Travel group explores Puglia in the #ItalianFWT chat on Twitter. All those of you who are interested in wine, food, and travel in Italy and Puglia are very welcome to participate in the chat on Saturday. It is always great to have new fellow Italian wine and food enthusiasts to join and add new perspectives to the discussion. 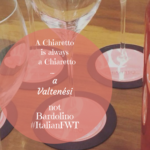 As you have noticed in this pre-article we will look deeper into grape varieties such as Nero di Troia and Primitivo and learn more about local food and travel on Saturday. Come give your personal contributions about Puglia. This first theme of 2018 will surely be exciting and fun. See you on Saturday, January 6!